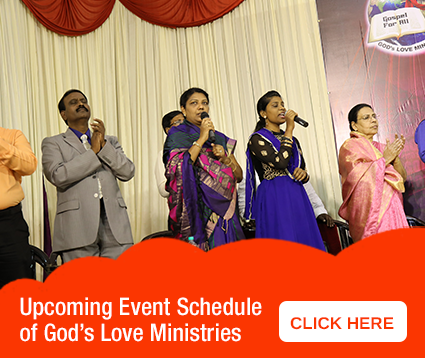 God's Love Ministries > Today's Word of Blessing > God Of Promises. Dear Beloved Brothers and sisters in Christ, I greet and Bless you all in the name of our Lord Jesus Christ. As I waited upon the Lord, the blessed word that the Lord gave me to bless you is from the book of 1 Kings 8:56 ‘Praise be to the Lord, who has given rest to his people Israel just as he promised. Not one word has failed of all the good promises he gave through his servant Moses.’ We have a God who is a God of promises. What the Lord says by His mouth, He will complete it by His hands. The Lord fulfilled the promises he gave to His servant Moses. The Lord gave the Grace to king Solomon to help him build the Temple of God. The word of God says that He will accomplish all the words He has said. Thank God for all the promises that He has fulfilled in your Life. Praise God for the promises that he is going to fulfill in the days to come. Even if it delays, even if it is the eleventh hour, God will do what he said. Our God is a God of promises. Trust in the Lord. Have faith. The lord is a mighty God. He is a God of words. Rejoice in the Lord for He is good all the time.